Holds mic to his phone to amplify computer-generated voice. A Spanish journalist used Google Translate to ask Antoine Griezmann a question at a press conference, but was quickly shut down. 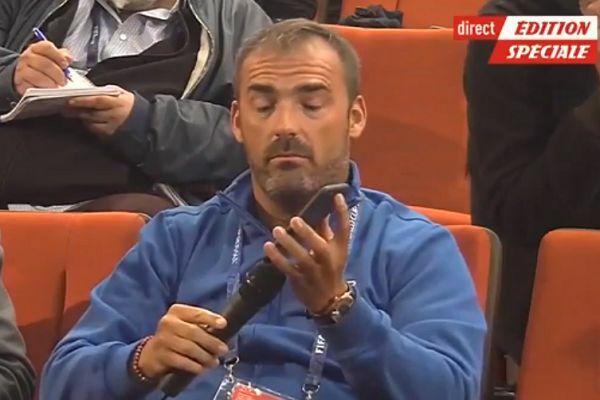 Holding a microphone up to his phone to amplify the computer-generated voice, the journalist tries to ask if Griezmann has decided on his Atlético Madrid future. It’s a question that was apparently answered earlier in the press conference in both French AND Spanish, with Griezmann saying he hadn’t made a decision yet. Suffice it to say, he was swiftly silenced by a member of staff for the French national team. Griezmann and France get their World Cup campaign underway against Australia on Saturday.